1.Welcome to our blog Shelley, can you tell us a little bit about yourself and what prompted you to start writing? I was born in Leeds, West Yorkshire but moved to the West Midlands when I was just eight years old. Even though I have a Brummie accent, I still think of myself as a Yorkshire lass! I’m a single mum to three amazing teenagers, one fat goldfish, and a black cat called Luna. My background is in holistic health, and I ran a successful ladies only spa for seven years before illness forced my hand, and I had to close. Writing always played an important part in my life from a young age, but it was only when I reached my thirties that I took it seriously – or should that be, took myself seriously as a writer. 2.Your books encompass young adult fiction and self-help non-fiction. Which genre did you write in first and to what extent do you think (if any) your writing in either genre influences the other? I’ve written fiction for years but never did anything with it. I would submit work to magazines and receive positive feedback but then allow self-doubt to penetrate my thoughts. I never considered writing non-fiction until I started blogging. It was the self-help titles that hit the bookshelves first and in turn that success influenced me to complete my YA trilogy. There is a fine line between both genres. It might seem strange saying that as one contains demons, faeries, and witches, and the other talks about meditation, goal setting, and achieving success, however, my protagonist in the Guardian trilogy requires all the skills from my self-help books to fulfill her quest. I was also able to incorporate my energy healing and meditation techniques in my fantasy novels, giving my MC powers that accessed her chakra points (seven wheels of energy we have in our body). I enjoyed overlapping the two. 3.What role do you think that young adult novels can play in helping young people address issues around their own self-development, their relationship with others and the wider world? Great question! 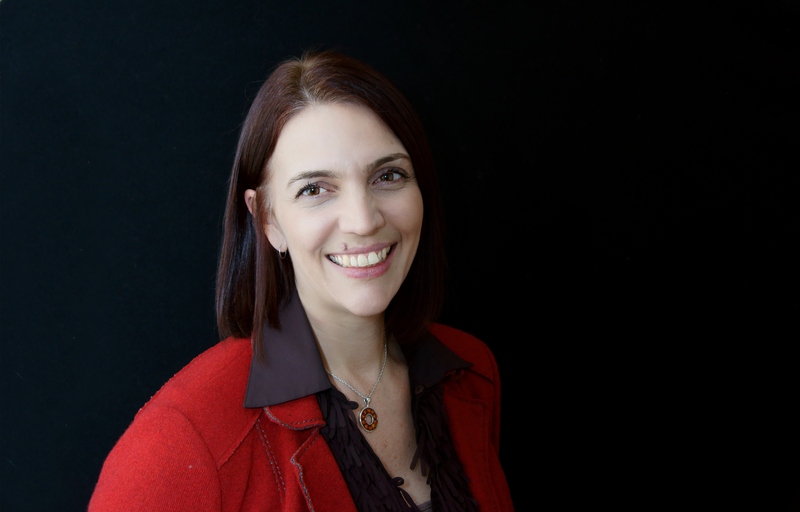 As a YA author and a mum to three teens, helping young people is at the forefront of my mind. One of the things I love most about the YA genre is how no topic is taboo. The youngsters of today have more to deal with than my generation ever did, and the advancements in technology have a lot to do with that. They can’t switch off – ever! Life is 24/7 and with this speed, comes an increase in anxiety and mental health issues. Being able to cover these topics in YA novels is of great importance. Not only do you want to give your young reader a break from reality, but you want to answer their questions, or test their opinions and prepare them for an unknown future. 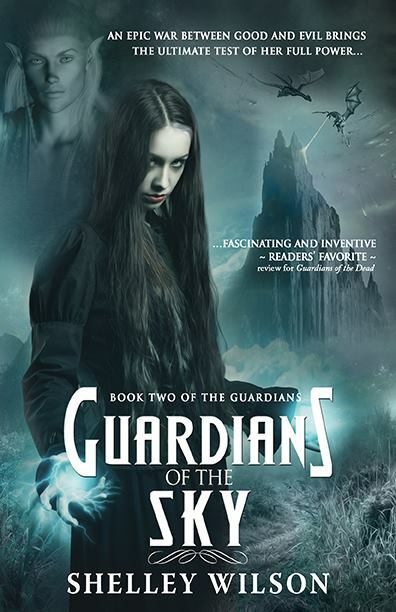 4.In terms of the world building in your fantasy series The Guardians, did you carry out much research into or did you give your imagination free reign? There was minimal research involved in the world building aspect, apart from spending a pleasant couple of hours scrolling through the fantasy art images on Pinterest and adding them to my book boards. Having said that, even though my demon and faerie realms are made-up, I still need to ensure they have a hierarchy. 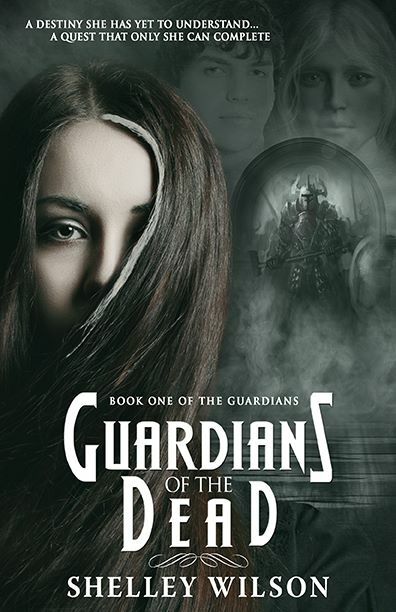 For example, in book one, Guardians of the Dead, the demon realm is ruled by a General, who commands his army and runs the stronghold. In the second book, Guardians of the Sky, there are some scenes set in a castle (of sorts), so I needed to research the terminology to make it easier for my readers to picture. It’s these details that I need to look into as I build my worlds. 5.What was your inspiration for the story and the characters in The Guardians series? The rough idea behind the trilogy came from a photograph of a hooded statue in a cemetery that I saw in a magazine. I have a fascination with cemeteries and so kept flicking back to this particular image. I ended up cutting it out and fixing it to my notice board. The more I looked at it, the more the story details fell into place. My organisational side kicked in soon after, and I plotted the novel out chapter by chapter. It might be worth noting that I used NaNoWriMo (National Novel Writing Month) to write the first draft of all three books in the trilogy. According to the rules, you are allowed to plan, plot and build character profiles, but you can’t begin writing until 1st November. Before I began writing the first book I immersed myself in the world I had created, collecting fantasy images and jotting down any scene ideas that came to mind. The characters evolved over time, but my MC, Amber, was fully formed from the moment I saw that image in the magazine. She’s everything I wished I’d been at sixteen! 6.What has been some of the most rewarding aspects of writing your self-help books? 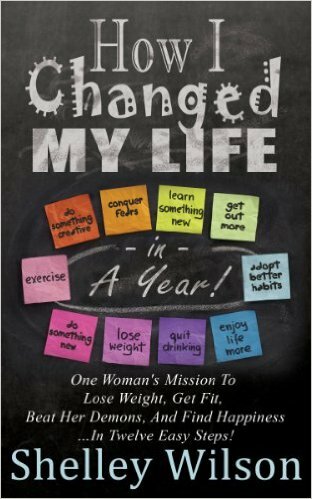 My non-fiction book, How I Changed My Life in a Year, was published in 2014 and I still receive tons of emails, tweets, and Facebook messages from readers thanking me for writing it. Hearing how people have started Open University courses, changed career, or turned their lives around after reading my book is incredible. I’ve cried at some of the marvelous letters I’ve had and made loads of new friends because of that single book. It still amazes me when I set up at a book fair, or Mind, Body, Spirit exhibition, and readers come rushing over to meet me and thank me. I’m just a single mum with grey hair and back fat! When I ran my holistic health business it was my main aim to help empower women to be the best they can be; I’m glad that I can continue to do this with my writing. 7.What is your writing process like? To what extent do you plan and how much do you just let the words flow? Does your approach vary depending on whether you are writing fiction or non-fiction? There’s a writing process? Only kidding, I used to wing it, which is probably why I never got anything finished. Taking part in NaNo has forced me into being an OCD plotter. As soon as I get an idea, I open a new notebook (any excuse to visit Paperchase! ), and I start to jot down character bios and basic ideas. I tend to work with Christopher Vogler’s hero’s journey system to help me get my initial thoughts down. Even though I do a detailed plot outline, once I start writing the characters take over. In the Guardian series, Amber was supposed to be a witch – mid-scene she decided that wasn’t challenging enough and so now she’s the last Oracle! With my non-fiction, I tend to set my chapter headings and go with the flow from there. As I’m writing about topics I know, it’s easy to churn out hundreds of words without a detailed plan. 8.Do you write every day? Also how do you cope if you experience writer’s block? I try to ensure I write something every day, even if it’s just a few notes in my planner. Monday to Friday I concentrate on writing my books, editing, and preparing blog content including book reviews, and author interviews. At the weekend I’ll write if the kids are busy, but if they’re around, I’ll try to spend time with them. The older they get, the more time I spend at my computer on a Saturday! My middle son plays football every Sunday so at least I manage to get a couple of hours of fresh air! I’ve never experienced writer’s block; I have the opposite problem of too many ideas whirling around and not knowing which one to work on first. If this happens, I’ll write a list of all my musings just to stop the brain chatter. I can then choose one to concentrate on. Writing for my two blogs means I always have something to say or do. I guess this is the perfect antidote to writer’s block. 9.If you could give an aspiring author one tip, what would it be? Read. I’ve got a million other tips, but that’s the one that stands out as the most important one for me. I’ve discovered more about myself as a writer by reading other people’s work than any how-to-write book can show me. You learn to ‘hear’ the writer’s voice and can then find your own. 10.If you had one wish to change the world for the better what would it be? Oh my, what a question! There is so much wrong with our world that I wouldn’t know where to start. Ending poverty and war needs to be top of the list. If we could also learn to embrace each other regardless of colour, class, culture, religion, sexual orientation, then that would go a small way towards healing the world. 11.What sort of books do you read in your spare time? Also when you are not writing or reading what do you like to do? I adore reading YA fantasy novels, and love getting my teeth into a book series. My favourite YA authors are Cassandra Clare and Sarah J Maas. A few years ago, I joined Rosie Amber’s Book Review Team and had to expand my reading to encompass all sorts of genres. I’ve since developed a love of historical fiction (mostly Tudors), crime, murder/mystery, and horror/post-apocalyptic. I don’t do chick-lit or romance! If I’m not writing or reading, then I’m leading an exceedingly boring existence. I enjoy going to the gym and running on the treadmill, I also love going to the cinema and can happily go on my own to watch a film (tub of popcorn all to yourself, need I say more!). I’m quite creative, so I love doing adult colouring books, spending far too long on Pinterest, and creating projects for my motivational blog. Other than that, you’ll find me curled up with a book. 12.Finally can you share with us about what your next release will be and what you are working on? 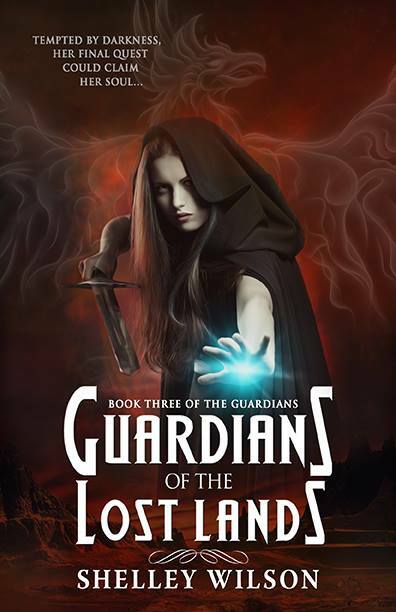 Guardians of the Lost Lands is the final book in my Guardians trilogy and releases on Friday 11th November. Amber’s final quest could claim her soul, but it’s a journey she must make. The evil that lurks in the Lost Lands threatens to infest the realms unless Amber, Redka, and Connor can destroy it. But Amber is more concerned about her father’s safety as he is held captive by the wickedness that terrorises them all. Amber faces isolation and mistrust from her friends as they travel across land and sea to meet their most dangerous foe. Will she be able to stay true to her destiny as the last Oracle, or will she be tempted by the darkness? The fate of the realms is in her hands. Amber’s final quest will be her most terrifying yet. This time, it will be deadly. I’ve loved writing these books, but Guardians of the Lost Lands is slightly more special for me. During the writing process, I was diagnosed with severe depression and anxiety, a nasty side effect of the illness I had. The dark mood and black thoughts seeped into my writing and ended up taking Amber in a different direction. Book three is much darker than the others, but it all adds to the impact, and hopefully shows my teen readers that these feelings are perfectly normal. I’ve got a couple of projects on the go at the moment, now that the Guardian trilogy is complete. I’m editing a standalone YA werewolf novel which I have thoroughly enjoyed writing, and this should be available early next year – my editor loved it too and wanted me to write a sequel! On the non-fiction side, I have an Oracle Guide Book coming out in December which is a motivational tool for inspiring you every week of the year. I’m also working on a sequel to How I Changed My Life in a Year which will fit into the memoir/self-help/women’s biography category again. It’s a busy time, but I’m loving my writer life and hope it continues for many years to come. Thank you so much for allowing me to invade your beautiful blog, Tina. I hope your readers enjoyed my interview.